When you were a kid growing up, did your family have to move because of a new opportunity? Was the transition easy for you? Sometimes being the new kid on the block is not an easy thing to cope with. Today I want to take a quick moment and talk about a new kid in the CAD world. This “new kid” I referring to is Autodesk Fusion 360. If you haven’t heard about it yet, let me summarize in a few sentences. 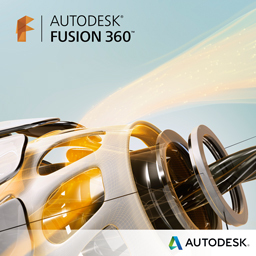 Fusion 360 is Autodesk’s next generation CAD/CAM platform that runs in the cloud. It’s an affordable single package that takes a concept all the way to manufacturing. It provides the ability for you to work anywhere and allows for your designs to be shared/collaborated in a team environment. Owner indicated his company is a small operation and needs a workflow that takes a concept of a sketch to design to manufacturing. Fusion 360 does all of that in one integrated package. Don’t have access to powerful computers and/or a server farm? But with Fusion 360 the owner doesn’t have to worry about it. He was up and running in matter of minutes at home and could access his files he designed at his office or visa-versa. Accessibility and sharing of his information. When he makes changes to his parts/designs, it’s quick and with a re-gen of his tool path his updated part is ready to be manufactured. Faster to manufacturing. Many popular CAD platforms have been around for years, it’s time for a change. Modeling is only part of your solution. There’s a need for an overall product development interface. Adapt to the user’s needs and not the user adapting to CAD. Affordable and accessible almost anywhere. Workstations and networks are aging and slowly being replaced by cloud computing. Your design team is no longer down the hall or even in the same building. No worry about forward or backwards capability. Updates are driven by customer demands and occur every 4 to 8 weeks. Although at first I had my doubts when I first heard of Fusion 360, however, it quickly changed when I started to see the benefits it provides to the end user. So am I trying to convince you to drop your current CAD application and start using Autodesk Fusion 360? The answer is NO!!!! The point I want to make, Autodesk Fusion 360 should be viewed as an extension of your current CAD tools and not as a replacement. Autodesk does offer a 30 day free trial but if you’re currently on subscription and have Product Design Suite Premium or Ultimate 2015 (or 2016) you have full access to download and use Fusion 360 free of charge. In addition, if you’re attending Synergis University 2015 this June and you’re curious about this application, sign up for our session and learn more about this new kid on the block. In closing, take a moment and see what Fusion 360 might do for your organization. Fusion 360 is not just a mechanical design application; others are using it to design a whole array of components from specialty eyewear, shoes, jewelry, furniture and much more. Mark Lancaster is a Product Support Specialist on our Helpdesk team working to support customers to create data-rich designs and efficient workflows. Mark’s most previous experience is as the CAD Design Manager of Pall Corporation, one of our long time customers. In that position, he was responsible for workstation optimization and design management, established uniform standards for the local and global offices, and developed global systems to control and manage their design data. Have a question for Mark or any of our technical staff? Contact us, visit the Synergis website or subscribe to our blog. Is it possible to download Fusion 360. We are behind a proxy that blocks executable files, etc. Unfortunately, even though Fusion 360 is a cloud based application it still needs to be downloaded and installed on your machine.